Merzbau Design Collective was formed by J.C. Schmeil (AIA, LEED AP) in 1998 with the goal of creating beautiful and lasting buildings that transcend the ordinary. We believe that design is a collaborative process, and feel strongly that each project should be a unique response to program, site and context. 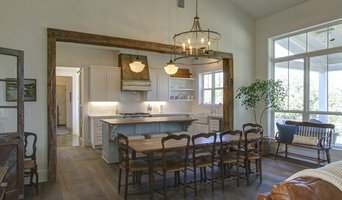 A regional architecture practice, Dibello Architects, PLLC is known for its vernacular, traditional, and classically influenced homes in town, on ranches, and by lakes and rivers in the Texas Hill Country. Call us today for a complementary consultation! Jerome Rugen, CPBD, founded Delineations in 1998 to serve the growing design and drafting needs of the Texas Hill Country. Currently, our services include Custom Home Design, Interior Design, Small Structure Engineering and Reprographic Services. Our staff represents over sixty years of combined experience, providing professional, courteous service to our clients. Since its inception, Delineations has always placed a high priority on timely, quality design and construction detailing. This, coupled with Delineations’ goal of integrity and accuracy, serve to provide for a mutually rewarding experience for all of our clients. We use the latest in design technology to produce a creative and innovative design that will meet the needs and exceed the expectations of our clients. 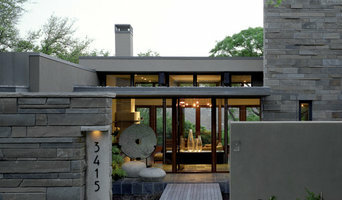 Elizabeth Baird Architecture & Design is a well-rounded design studio, located in Austin, Texas. We provide creative and thoughtful design solutions for each client and approach any design problem with the goal to enhance the quality of the life through strong design. 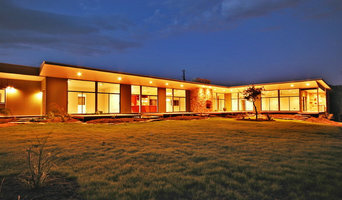 Elizabeth Baird Architecture & Design is full-service architectural firm serving the Central Texas area. and was founded by Elizabeth Baird, AIA.After receiving Bachelor and Masters Degrees in Architecture, Elizabeth honed her architectural skills working on residential and civic projects at Mell Lawrence Architects. She then shifted to the other side of the industry to work for a boutique residential contractor, eventually orchestrating her own design/ build work. Building on these experiences, Elizabeth approaches her own design practice with a firm understanding of both sides of the building process, and helps to make the experience a fun and seamless one for clients. Jay Hargrave Architecture is an architecture and construction firm that design and builds site specific solution for unique clients. From schematic design to punch list, we are committed to delivering a product that meets your high expectations. Many of our customers come to us with strong ideas about their project and the way they expect it to be delivered. Thus we attribute our architecture solutions to the vision of the customer and our process. That is why our projects look so different from one another; they are expressive of the individuals that commission them. As architects, our responsibility is to understand and develop the customer’s vision. From there we then assess, plan and construct. 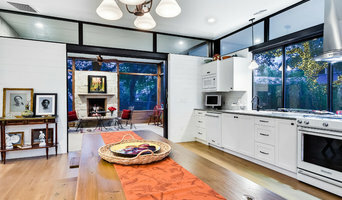 We’re not just an Austin architecture firm, but more, we’re a modern architecture and design firm that constructs buildings and building components. Our facility is set up with three components: an architectural design studio, a construction office, and a fabrication shop. We build what we design because that’s what makes us happy. As it turns out this integration is not only efficient but it creates a rich intellectual capital through communication across the fence that often separates design and construction. We believe our activities in construction improve us as designers and our inherent understanding of the design makes us better constructors. I like to tell people that we have removed the fence. We integrate and utilize conventions in design and construction to generate extraordinary projects efficiently.